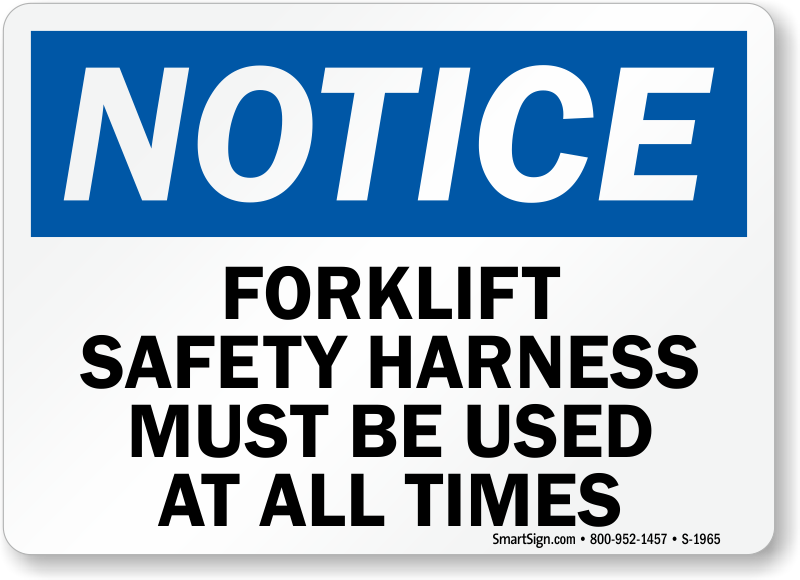 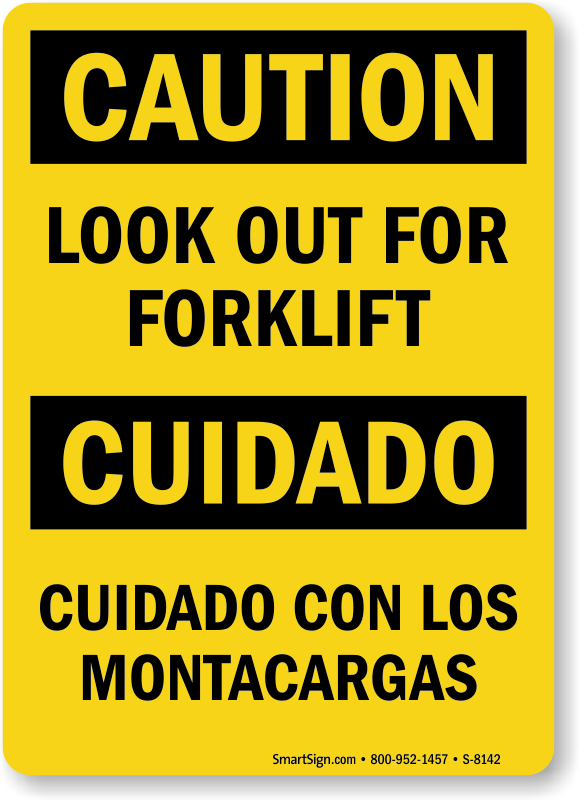 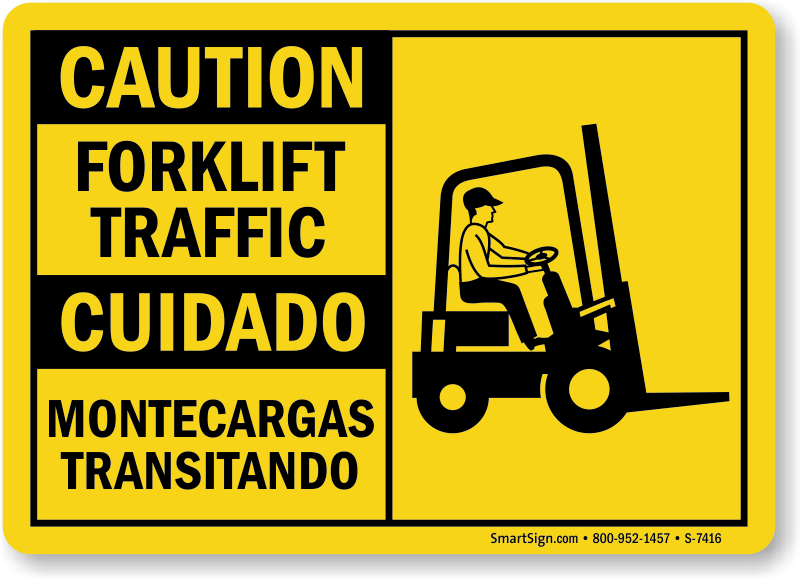 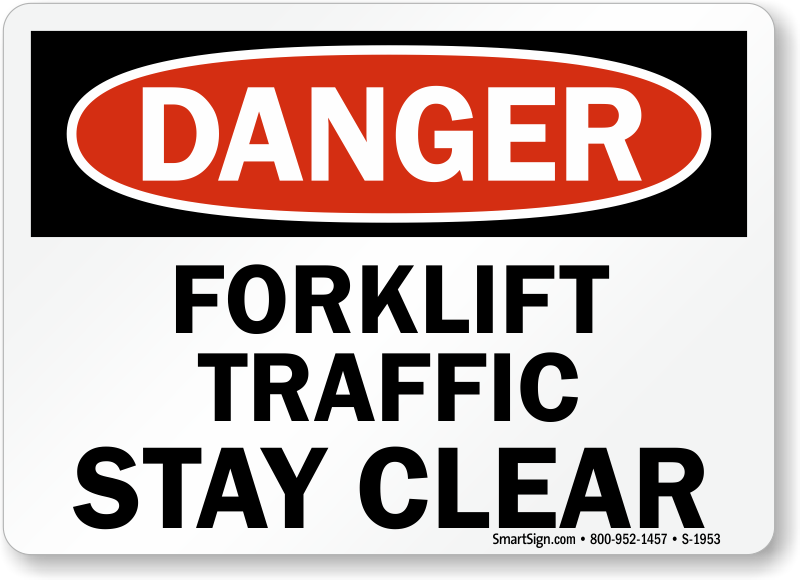 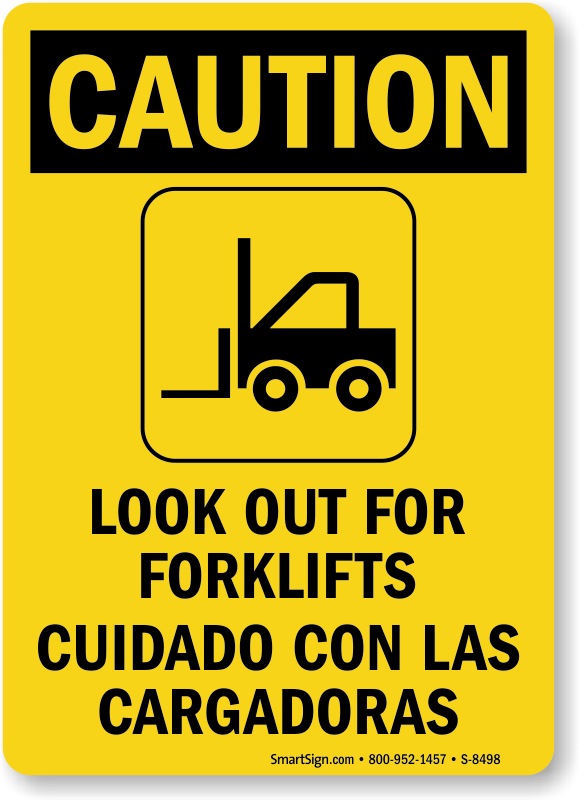 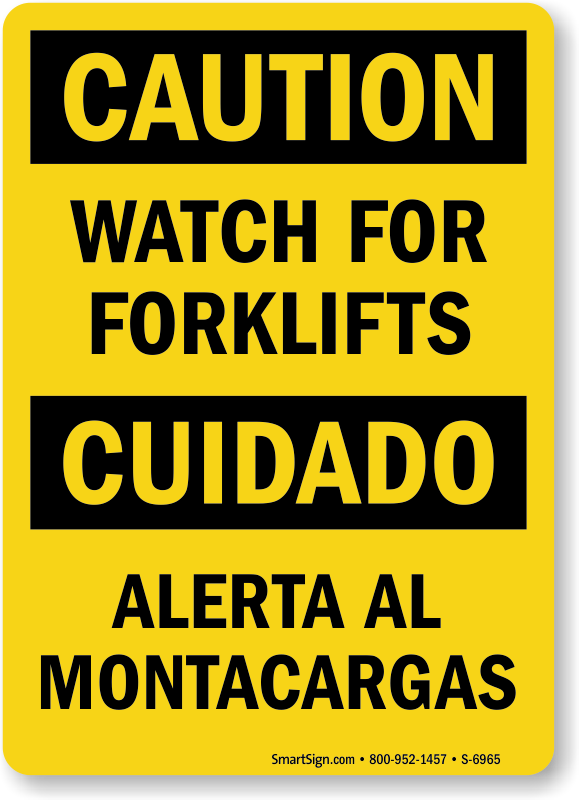 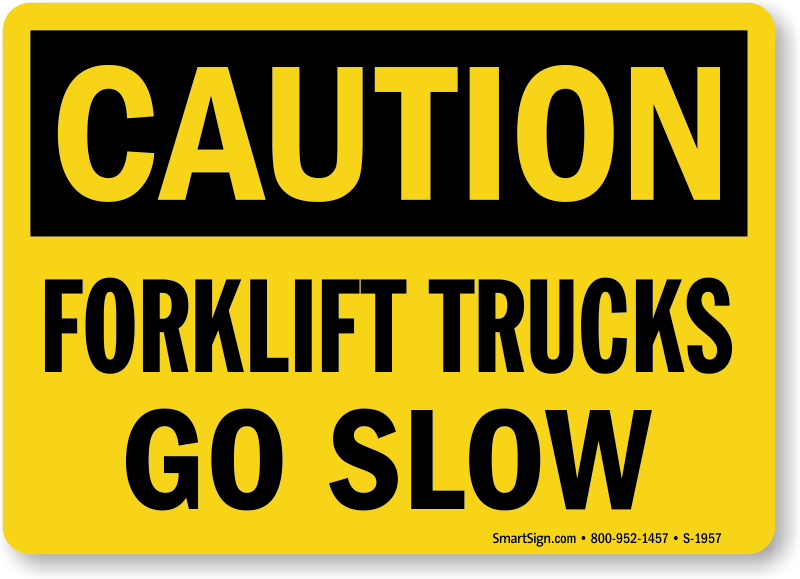 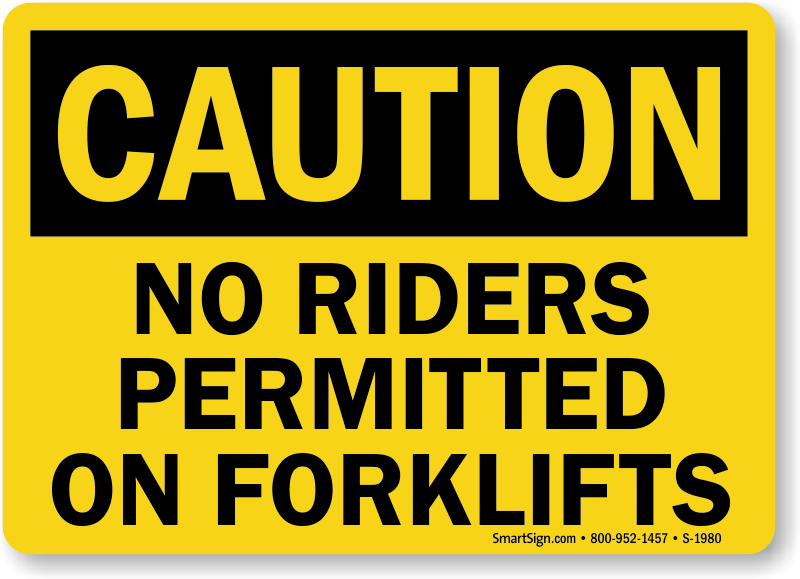 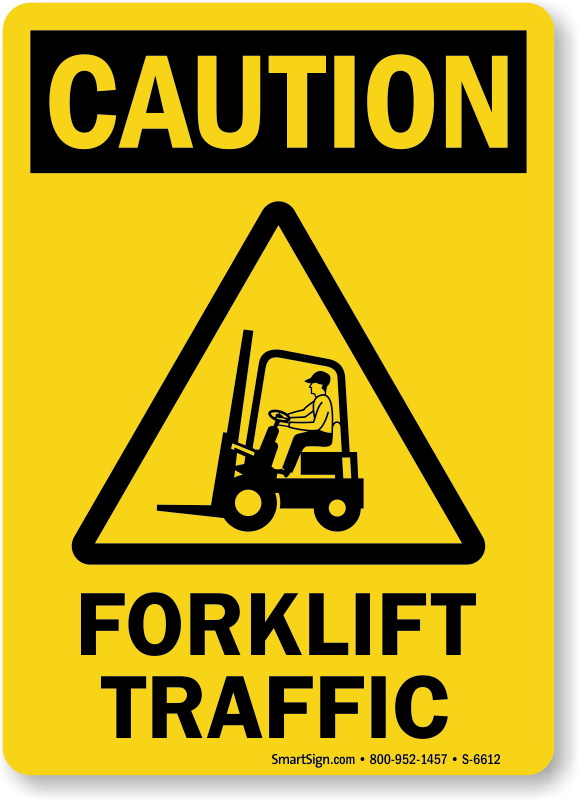 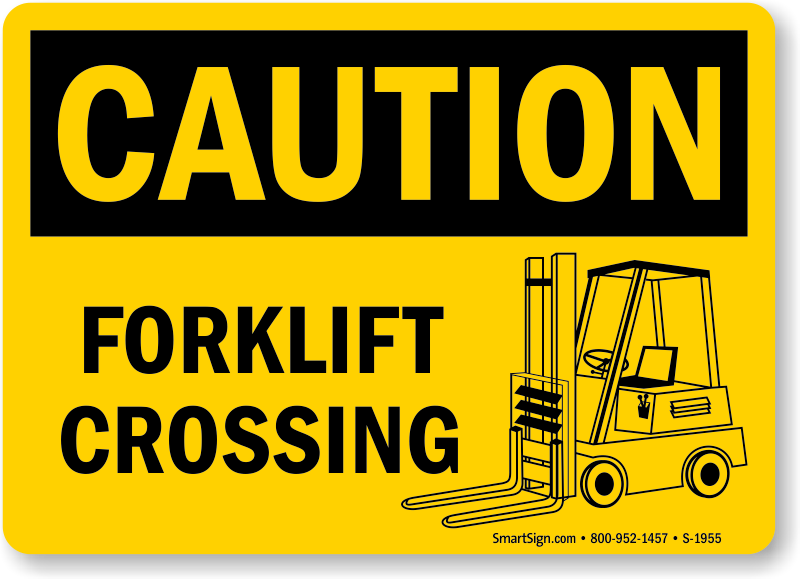 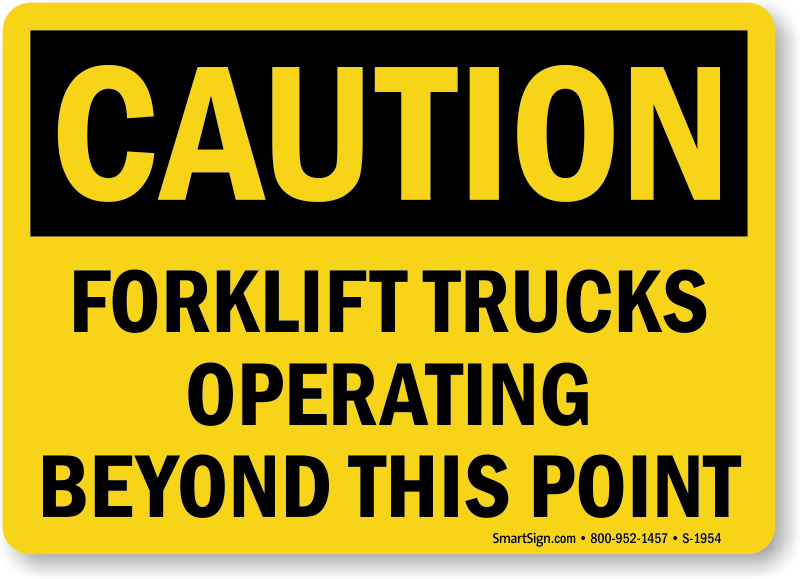 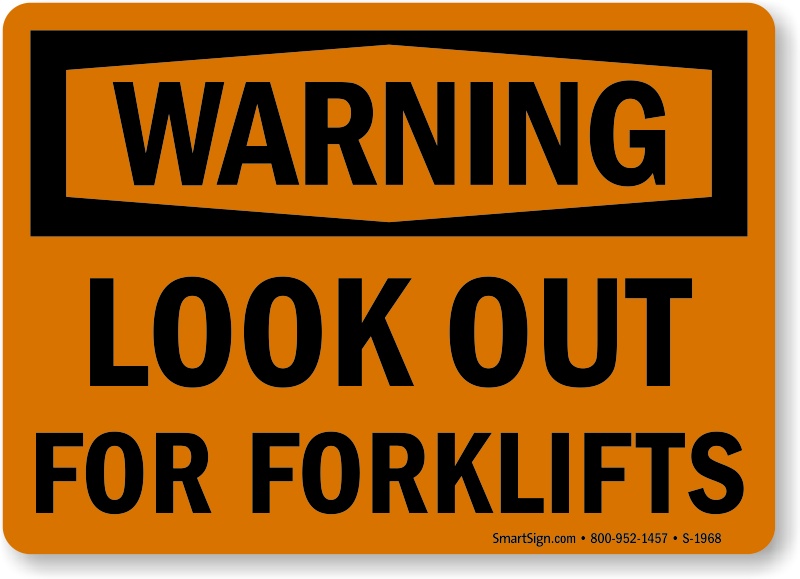 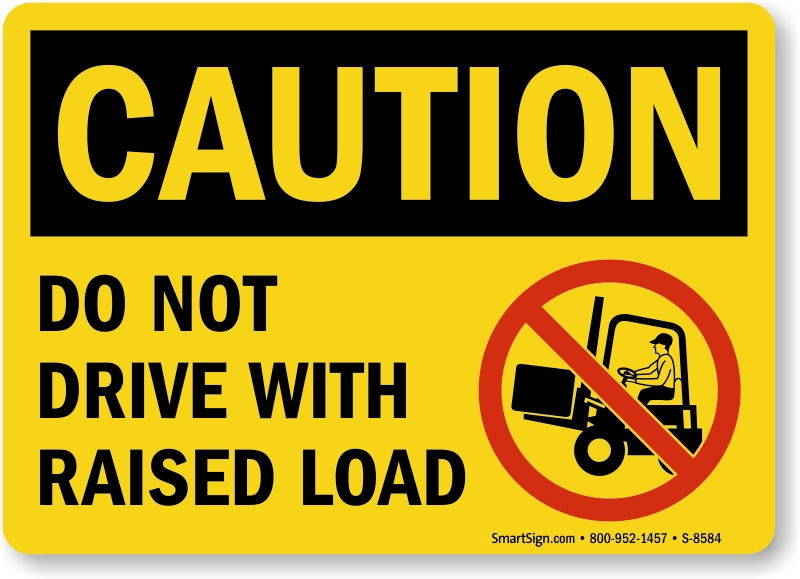 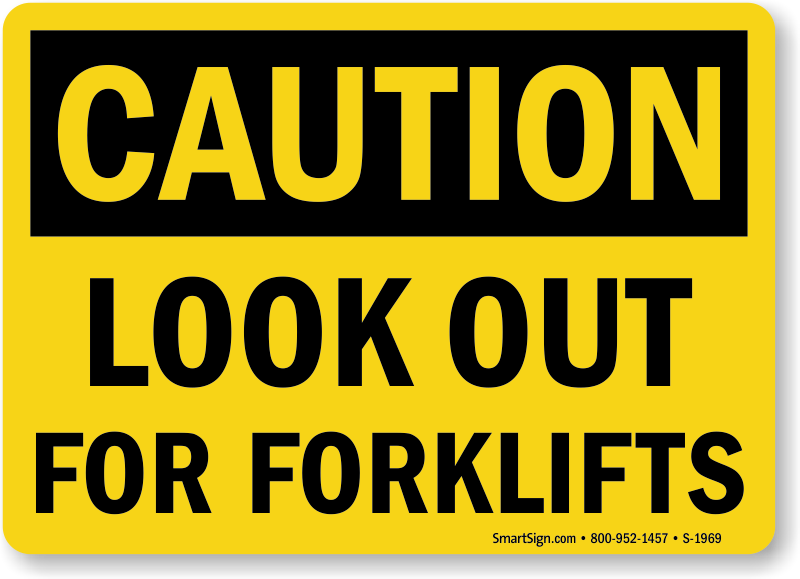 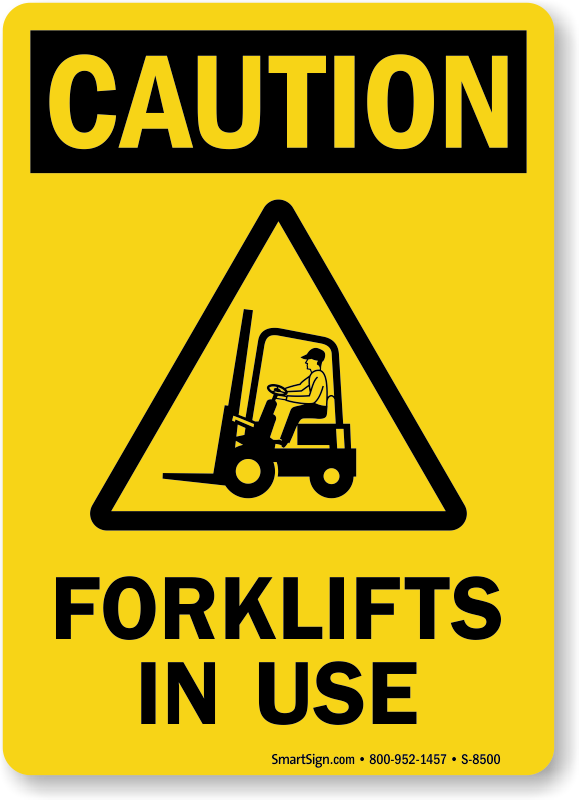 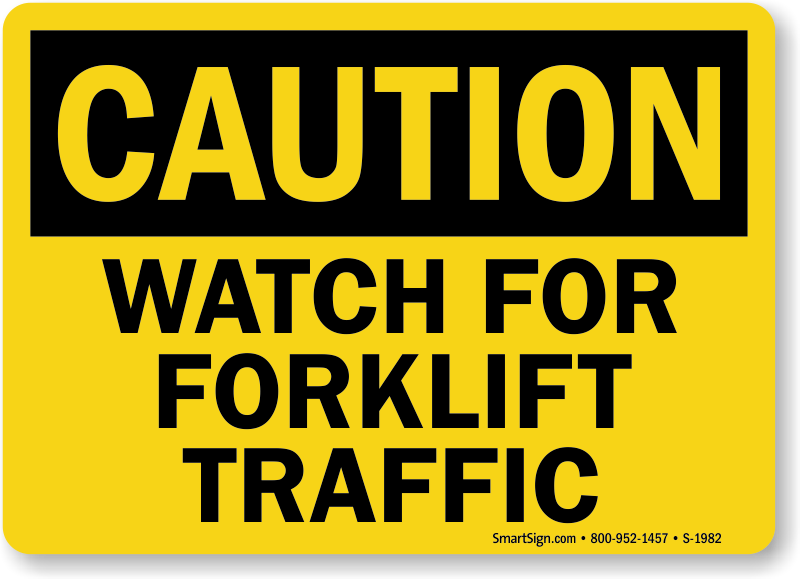 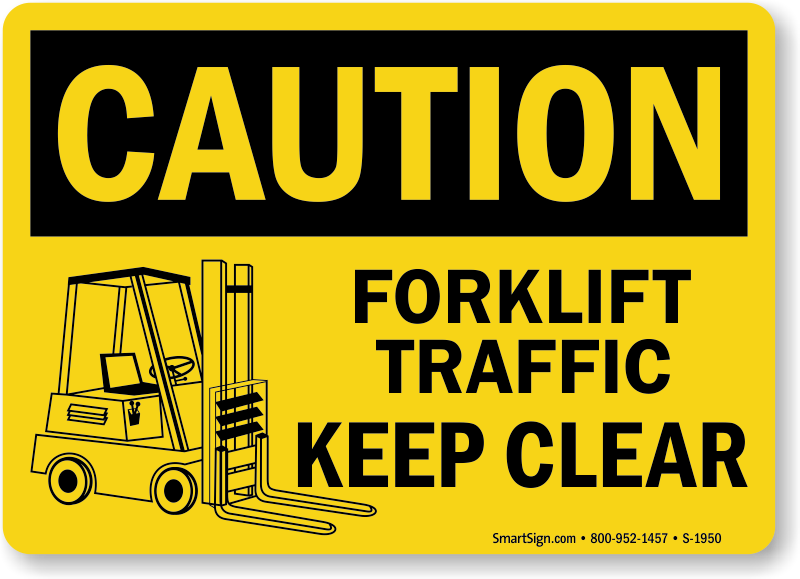 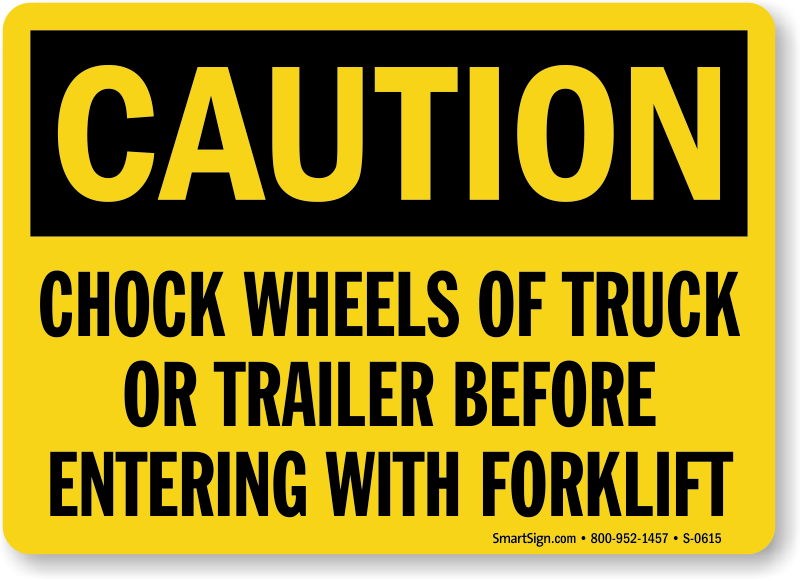 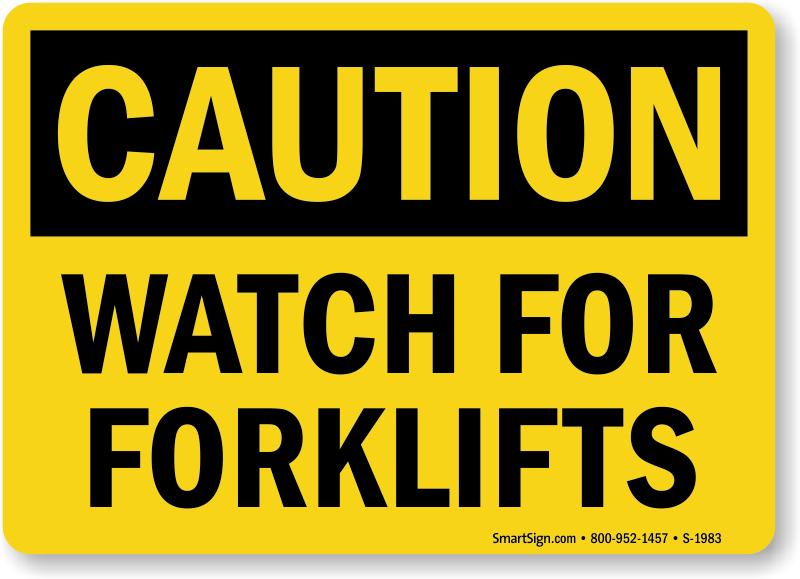 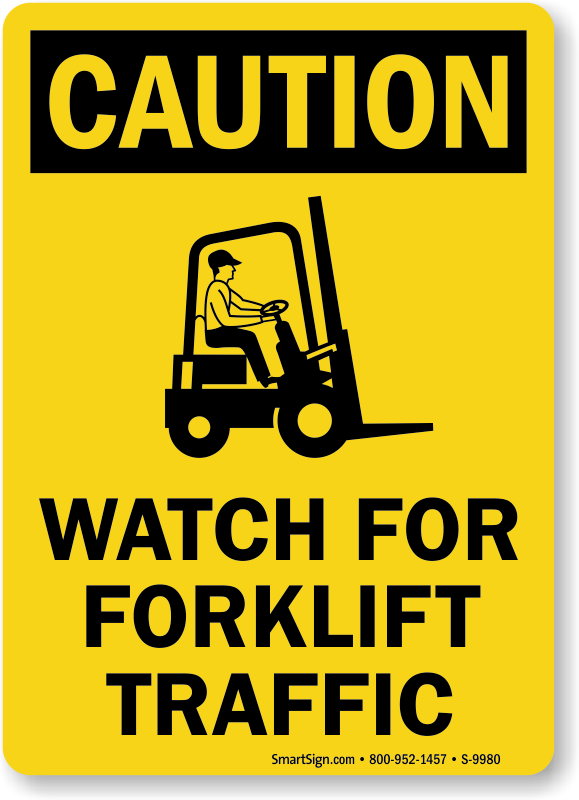 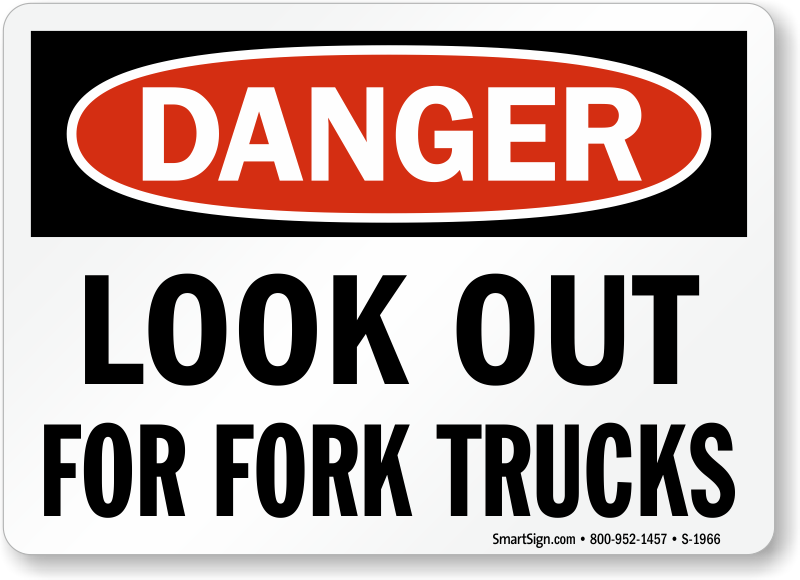 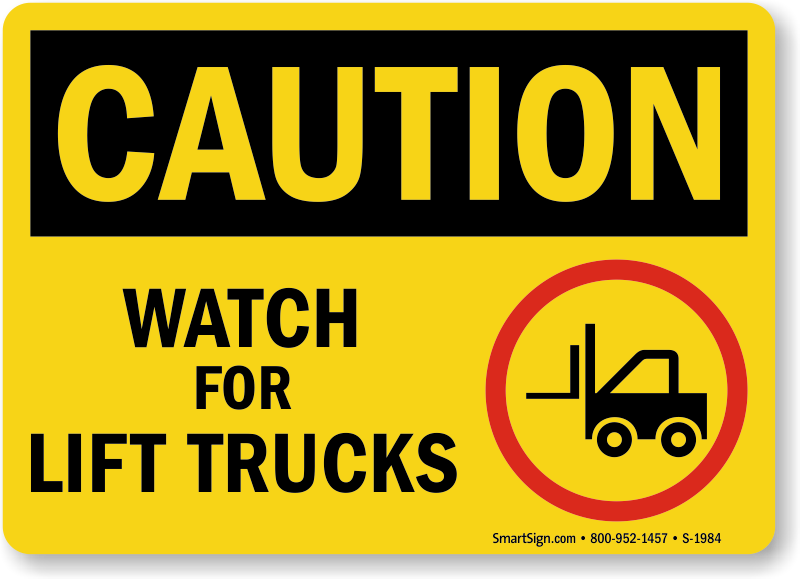 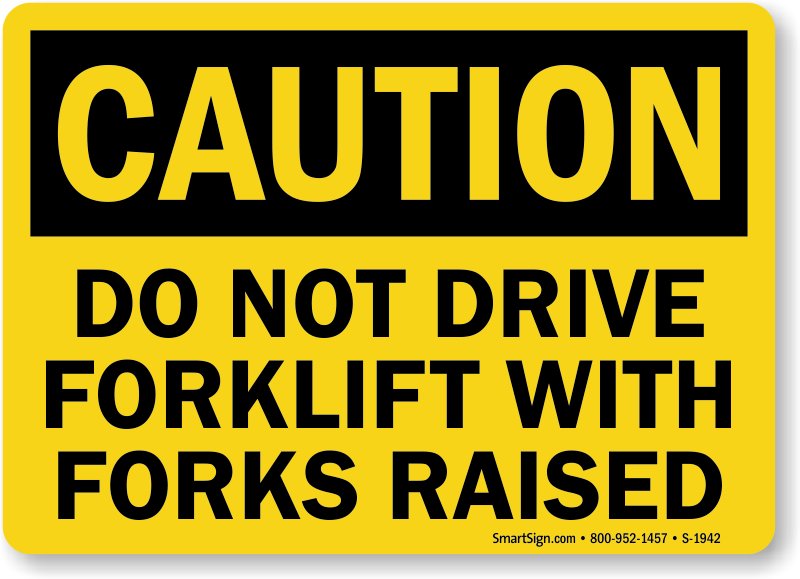 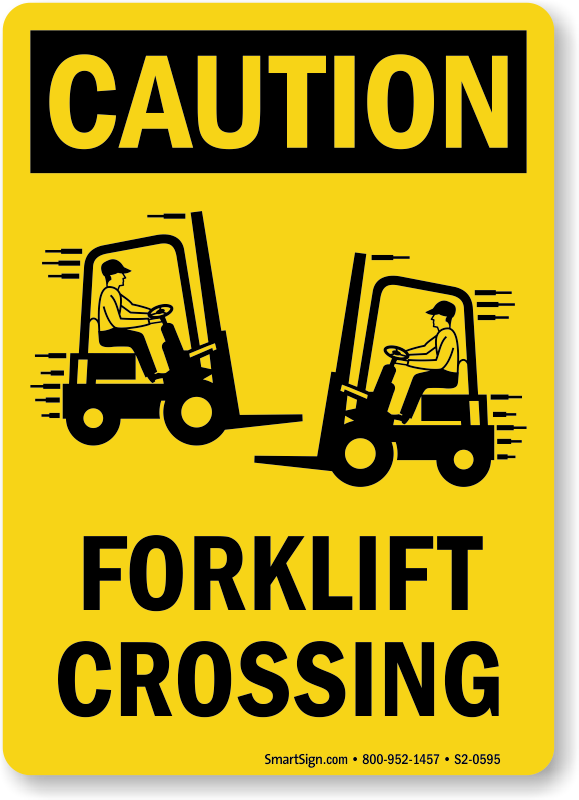 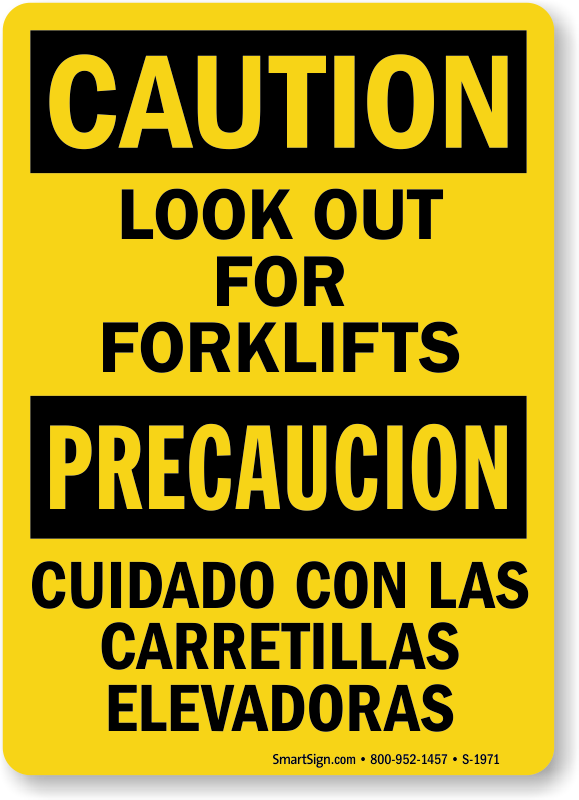 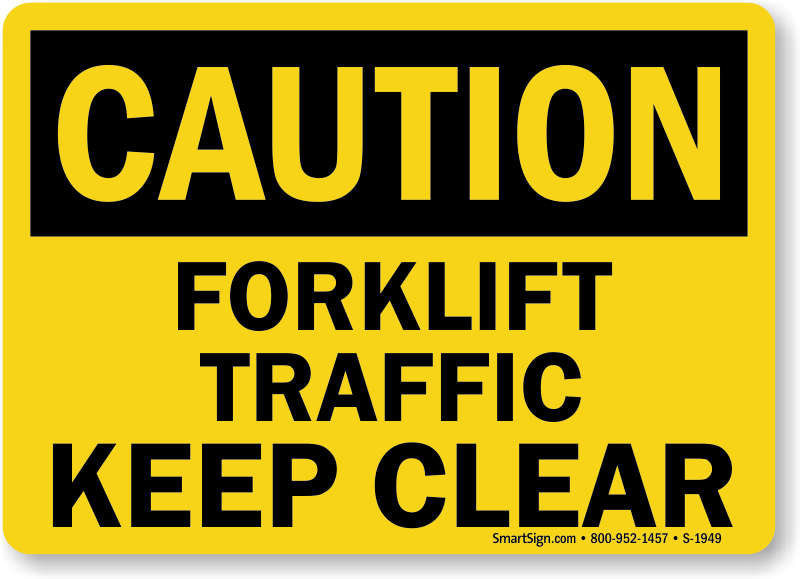 Reduce risks associated with forklift operation in your facility using our OSHA Forklift Signs. 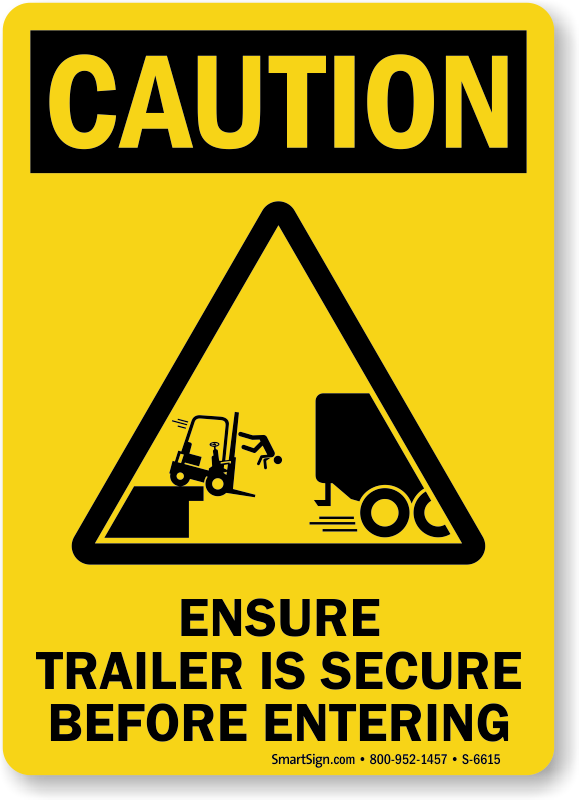 Our Caution Signs ensure that workers are careful while operating the vehicle and Warning Signs indicate hazardous situations. 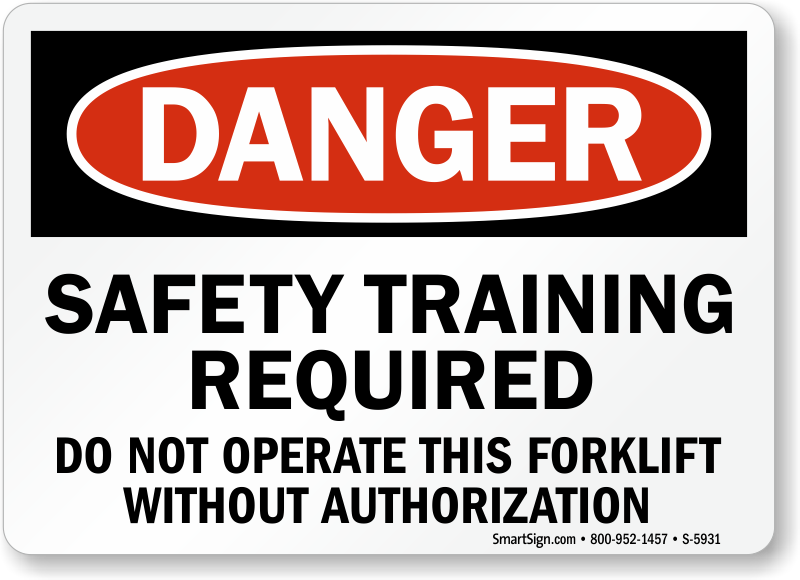 Comply with OSHA standards and regulations with our line of Notice Signs and Danger Signs. 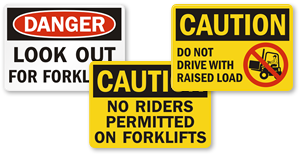 • Choose from plenty of sign materials – Laminated vinyl, plastics and aluminum. 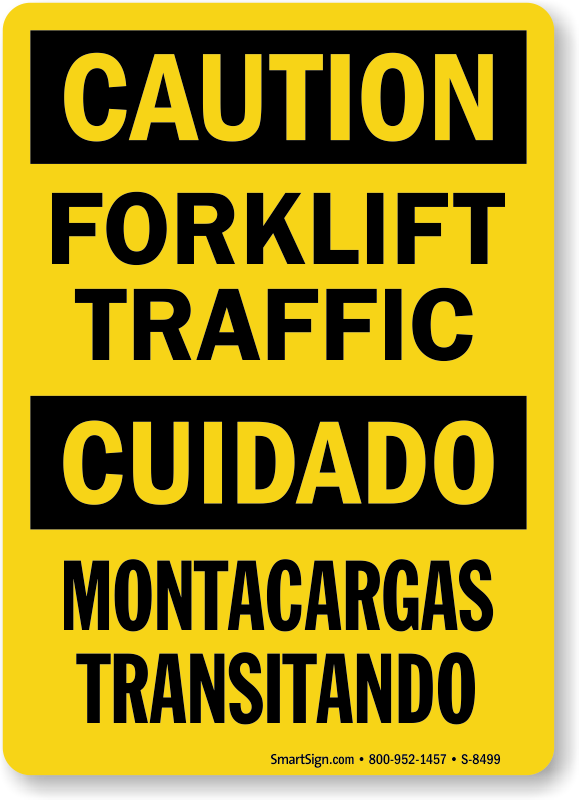 • Premium quality signs are wear and tear resistant, can withstand chemical and water exposure and are great for indoor and outdoor use. 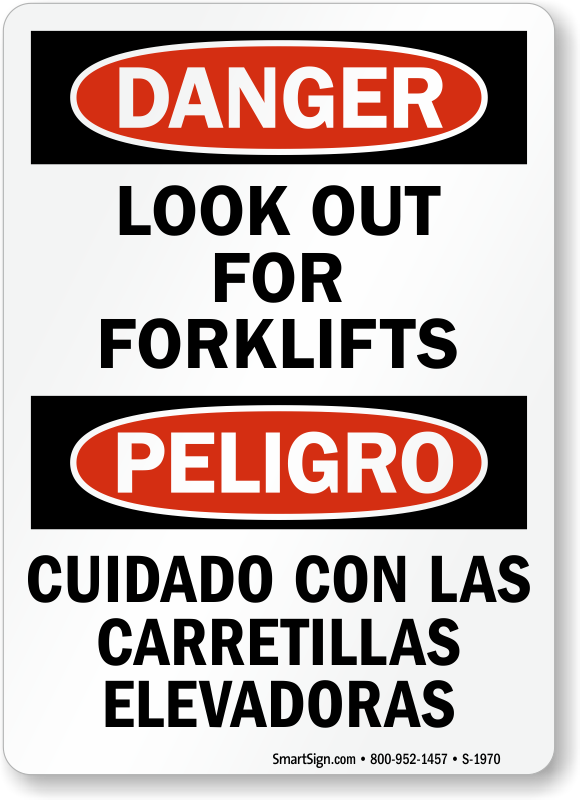 • Download the free PDF version of signs and print them for immediate use. 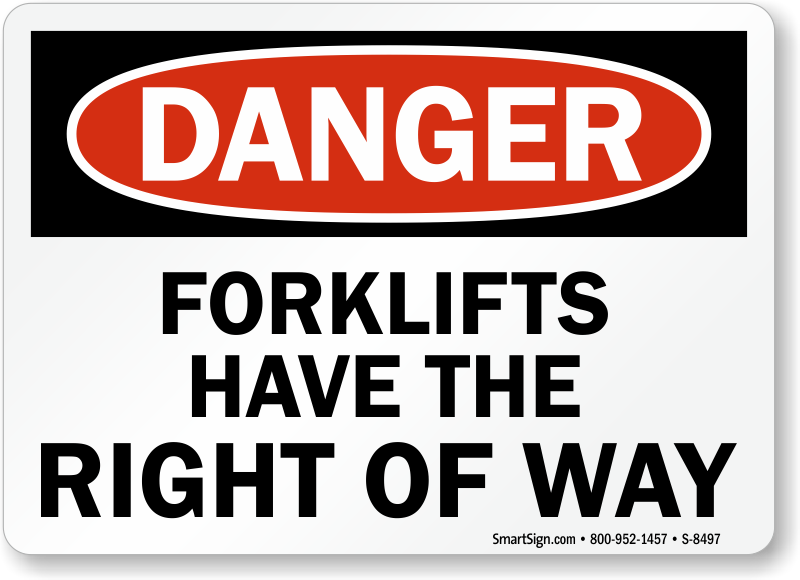 Great visual reminder for the forklift operator. 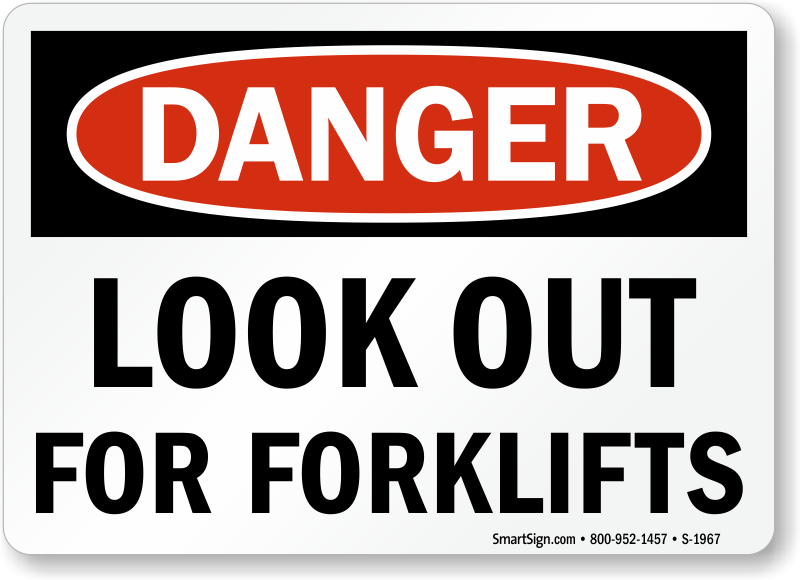 Replacing and updating our older labels that had faded and gotten scratched over the year. 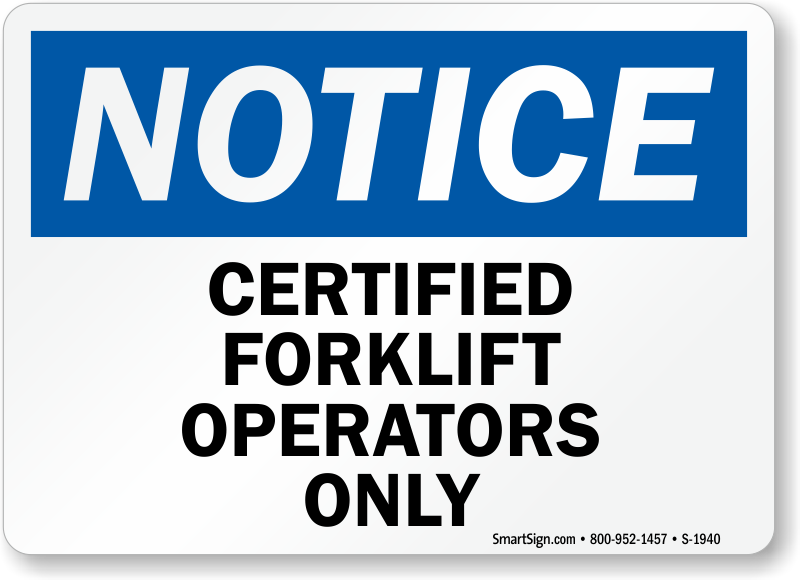 This is my second purchase of these types of labels for our forklift fleet - this is actually a new set to replace the ones that have been in place over a year. 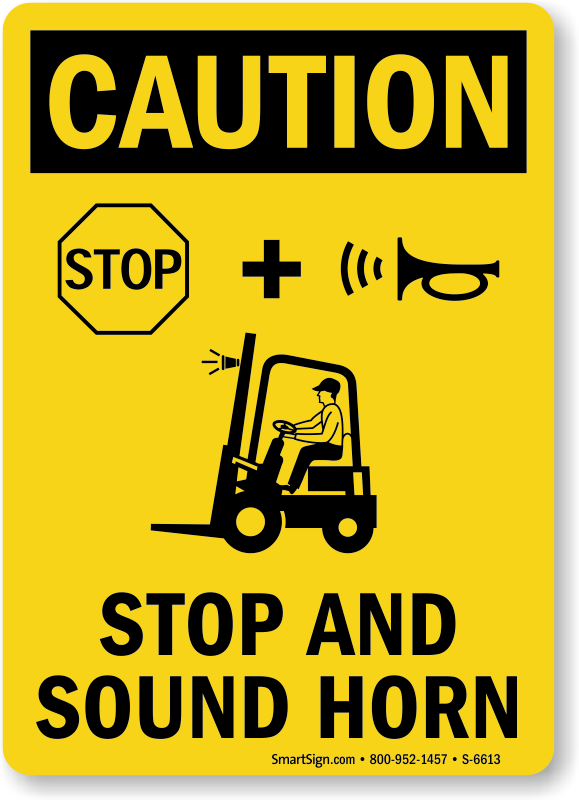 We are looking to reinforce our requirement to use the 3-point-of-contact method and wanted the labels to be eye-catching so we got new ones. 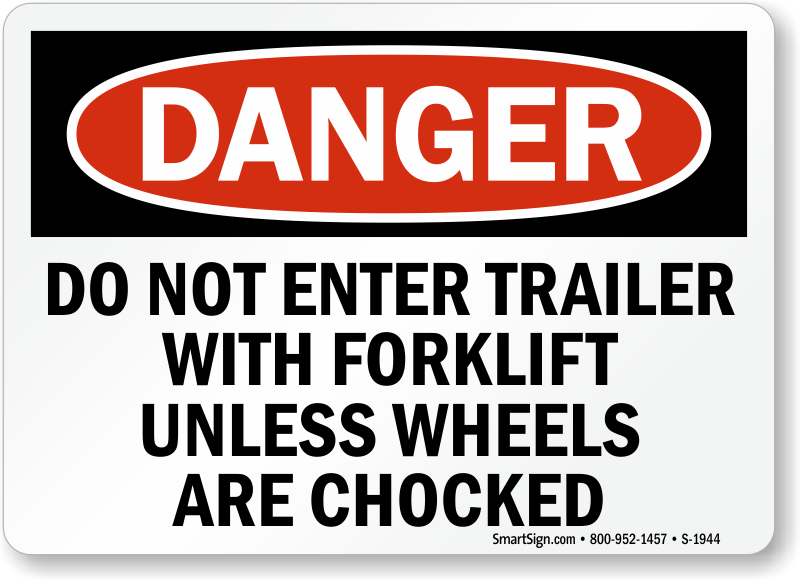 I wanted a consistent message that I could use at every facility. 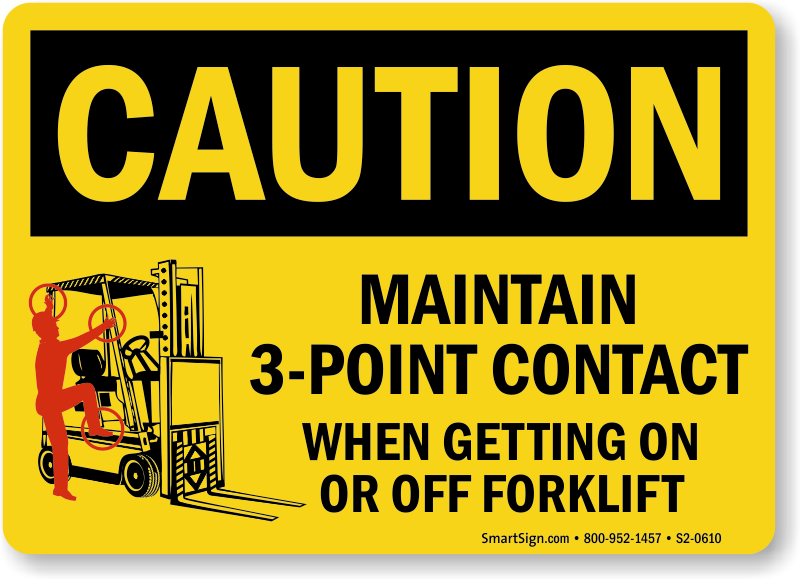 We needed a simple visual reminder to our forklift operators to use the 3-point-of-contact method to get on and off their lifts. 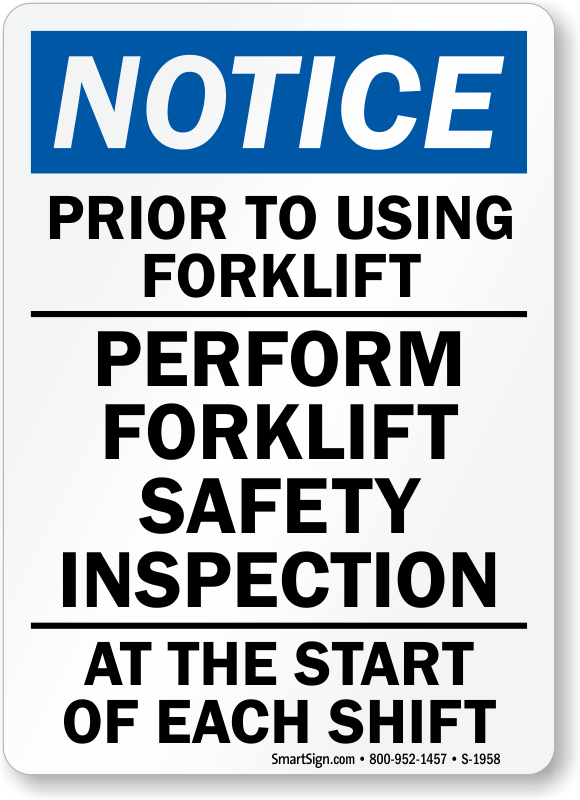 I purchased a set of three signs for each of our facilities - one to be mounted where we park our lifts, one on the dock where there is a lot of forklift activity, and one near our production line. 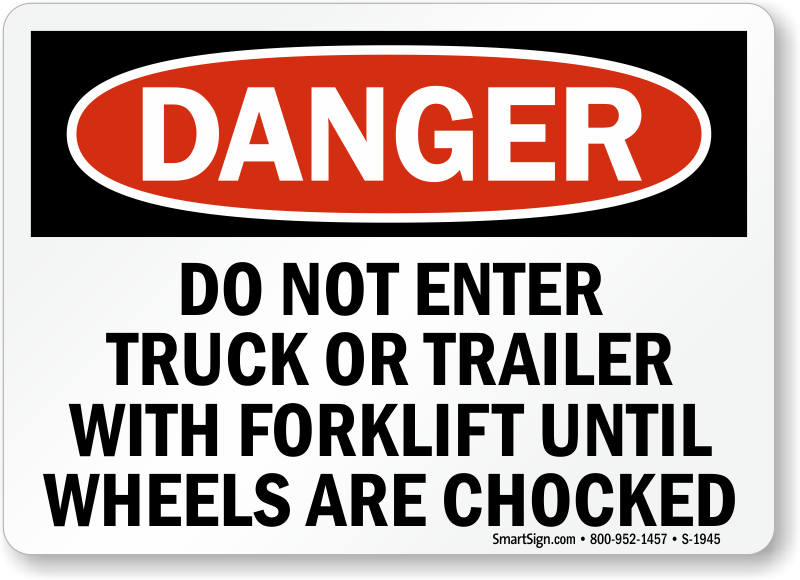 I chose plastic because I wanted a durable, washable surface that would look good. 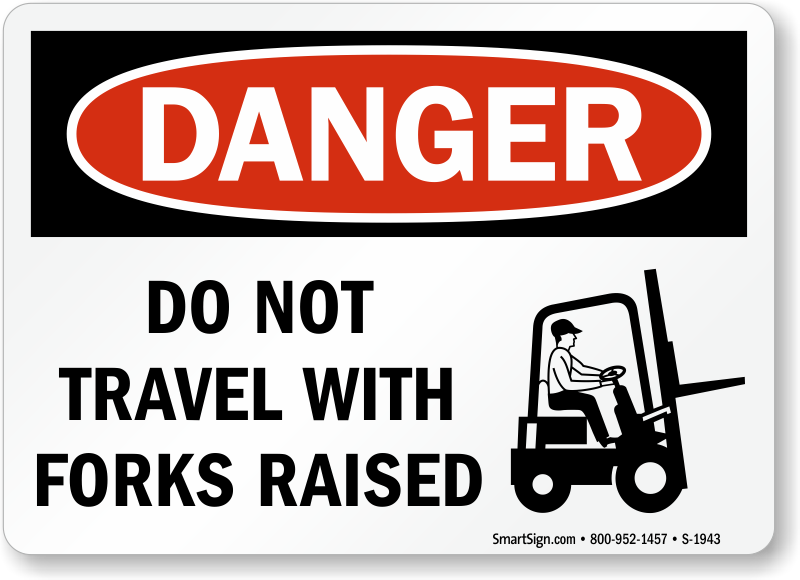 These signs more than fit the bill - and now we have a standard, consistent message in each plant! 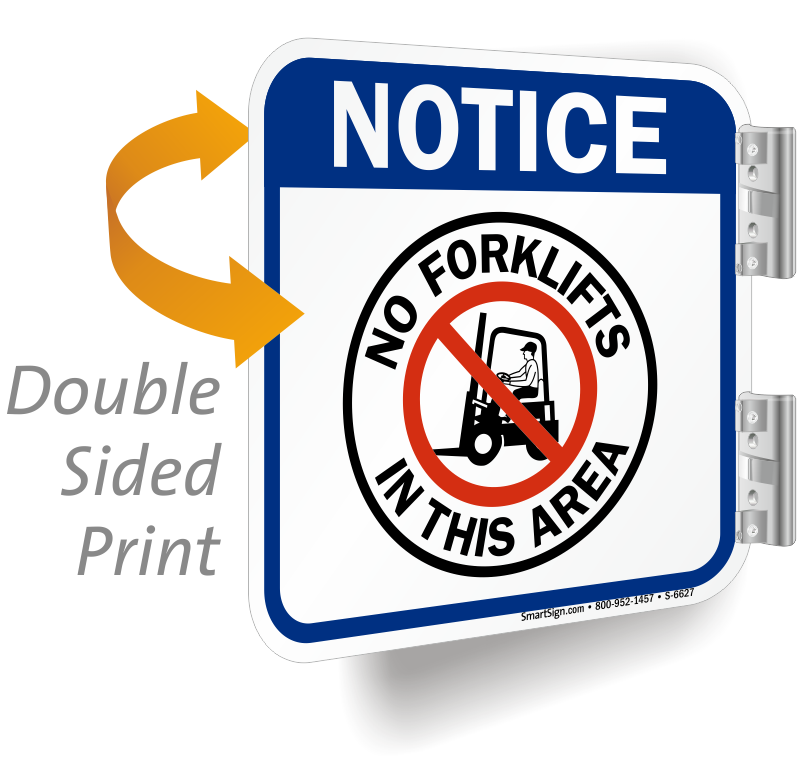 Nice thick rigid plastic, sign looks great.